Catholic Marriage Prep - We really liked the feedback and detailed answer keys. We really liked the feedback and detailed answer keys. Him: I really enjoyed the entire process. I learned a great deal about the true meaning of getting married. I hope to learn even more as time goes on. This course opened my eyes and taught me a great deal about Christ. I feel like I have become closer to God with all of these new teachings we have learned. Her: I was very impressed by the online Pre-Cana classes. I thought they were very interactive and very informative. I was raised as a Catholic and I feel like as I got older my relationship with Christ had slipped away. These classes and being married in the Catholic Church have renewed and deepened my relationship with Christ. Both: We are still working on our communication toward one another. I believe this course has helped us along in this process. We will still continue to work on and improve our communication toward each other to make our marriage as strong as it can be. 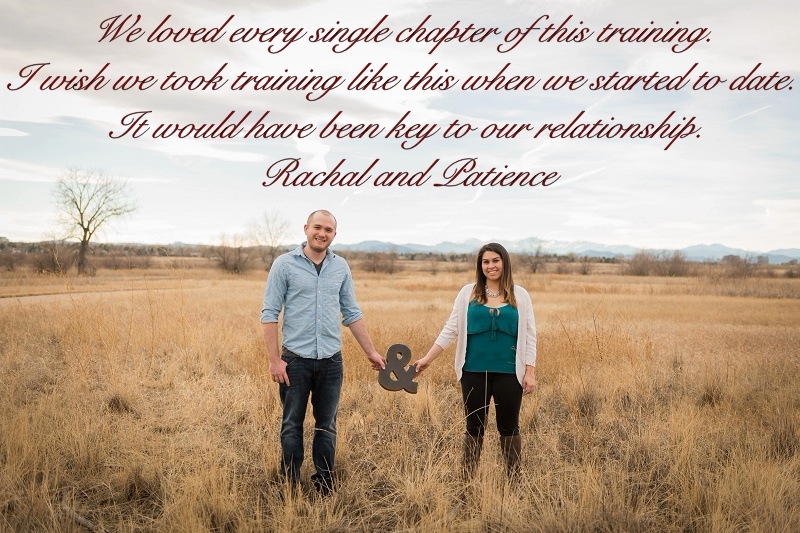 Him: It was an incredible experience and we definitely needed this course before the wedding. After this course, we have been able to value things that we used to take for granted for the last couple of years. In fact, this experience has taught us that God and his blessings are key to the success of any marriage and daily happiness. Her: We loved every single chapter of this training. I wish we took training like this when we started to date. It would have been key to our relationship. Both: After the wedding, we will become coaches and mentors for youths at the parish. We have decided to restart the reading bible program at home and be more involved at church. Him: This fit our situation perfectly. We were in a bind since we are long distance, so scheduling out a lot of marriage preparations has been difficult. It was wonderful to have our marriage prep be so well organized and flexible. Her: Very user friendly! I have enjoyed learning from the articles, videos and scripture passages. I have loved that it is easy to schedule into a busy life. Even though Luis and I are long distance, we were still able to have and partake in meaningful marriage prep. Both: It improved our communication because we were able to discuss things that are both sensitive and new to us. We successfully navigated through new territory that is not always comfortable or easy.This was great! We will recommend this program to future couples! Him: Very comprehensive. A lot of engaging material which brought upon important discussion for us. Her: This prep was very helpful for us; a great overview of many topics. I really liked the feedback and detailed answer keys. Both: We have always had pretty good communication, but we now have a better understanding of each other’s values and faith backgrounds. This is setting up a great foundation for us to communicate in our marriage! Thank you so much for this meaningful course! We also greatly appreciated the support of our instructors! Their feedback for us was incredibly helpful as we start this journey. Him: It was deep, interesting, and nourishing. I learned beyond what I could have imagined. The instructors' comments were very enlightening to us. Her: Some questions made me cry because I could not understand why I didn't think about them earlier. This training opened my eyes to the wondrous benefits God has prepared for me and my future husband. Both: The last course gave us strategies to express ourselves without hurting or blaming eachother. It was one of the most important things we learned. Communicating adequately and respectfully solve issues peacefully. You are here: Home We really liked the feedback and detailed answer keys.